The Visionary Mama in us, is often, very often—I’d even say, most often— born through reaching the tipping point of frustration, grief, anger. Those less welcome responses in us, will either nail down the doors of the orphanage, or throw them wide open. The Orphan gets overwhelmed by inconvenient emotional reactions to whatever shows up in our field of vision, the Mama in us does what she needs to do, to harness all that raw fuel and use it. 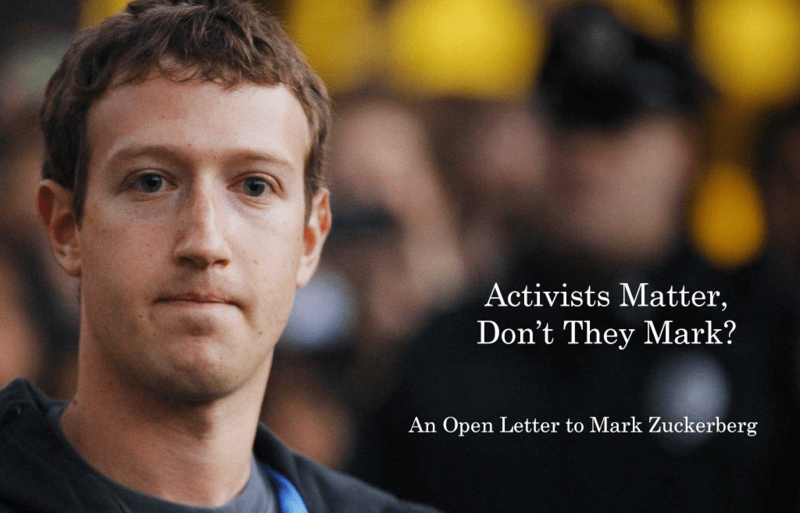 It was scary for me, to put this letter out there; to directly address someone as “powerful” as Zuck. But my frustration with the level of attention I received from the Facebook Ad Team, required action. By the way I got a phone call from the Facebook Ad team within a half hour of posting this on Facebook. The technical glitch is not entirely solved, but I have a personal session scheduled with a member of the team, I got a courtesy credit and I’m certainly a lot closer to getting help than I would be without speaking up. Anything “inconvenient” that got you to walk out and take action you’d otherwise never have dreamed of taking? Note to the Facebook lovers among us: I posted this blog on our FacebokPage and if more of you were to share it, chances are, our technical glitch would receive more attention. And I and our team could serve you better! Because what you affects what we do. YOU AND YOUR ACTIONS MATTER. For me and our team of–rebels with an awesome cause—Facebook turned out to be an unexpected gift. After self-righteously resisting it for years, it has become my go-to outreach tool. As a reproductive healthcare activist, and author, thanks to Facebook I ‘ve been able to engage with thousands of people who may otherwise have not heard about my work. I wouldn’t trouble you with any of this, Mark, but I’ve done it all. I’ve contacted your various help lines time after time, to actually receive personal calls, that amounted to no useful solutions. And if things had at least gotten stable enough, I’d learn to live with it. They’re getting worse. Now posts that I’ve waited 10 hours to be approved for boosting, are “in review” indefinitely when I reset targeting. I realize we’re a small business with a limited marketing budget, but we’ve invested considerable time and a sizable chunk of it, with Facebook, and we need your help to make sure we leverage that investment. I’m not a complainer. Really, I count my good fortune just about every minute of every day. But someone somewhere on your team is not paying attention. I can boost the same posts that are “in review” on the Fertile Heart FB page, from my peace activism page (FertileHeartedHuman) but that’s not the page I use for my reproductive healthcare activism . Frustration, grief and anger all do a dance in my orphanage. Recently I have started to take a stand for myself at work. I get angry and frustrated when I’m given more responsibilities and tasks to complete than my colleagues. It seems that because I’m reliable and dependable, my bosses feel that they can give more to do yet I’m not compensated for it. In the past, I have stressed and gotten my self sick, literally, over work. But I am finally standing up for myself and either delegating, politely refusing to do some of the work and putting myself and my family first before work. I have realized that I too need to hold others accountable for the work that they are not doing. Yes! Looks like those dancing O’s are giving birth to some AWESOME V’s. This is the Mama your beautiful daughter needs a PeacefulWarrior who knows her worth. Thank you Julia for your support and encouragement! I’m so grateful for your guidance. I have to share that a shift occurred for me today at work. My boss added another person to assist us with a project! I guess standing up for myself and pushing back a bit helped? Now I have a big O who is upset because she wants to be able to handle everything and complete all the work that is assigned. When she does this, a pity party starts and many orphans join in such as the one that says “you HAVE to get this done on your own without extra help”, or “work has to be difficult, hard and miserable’. But my Visionary has become much stronger and was able to put a quick stop to this today! That’s amazing for me! My V reminded me that’s acceptable to set limits and even ask for help if you need it. This doesn’t make me any less of a person or less accomplished. I’m so grateful to be doing this work which has taught me that. Do I know my own worth? I need my visionary to be stronger on this journey. Since I began working with Julia many years ago, I’ve had this vision to work on an individual basis or smaller group with children. I used to think I would love to be a stay at home mom too. For various reasons, I have not been able to birth exactly the type of work that I want to do. I have found new jobs which start out interesting and fulfilling but then change happens and I’m stuck with the unpleasant work pieces that others feel I can handle. My visionary wants me to take a risk and perhaps start my own business, but my orphans are TERRIFIED and worry that I won’t be able to find clients, that I won’t have money for retirement, what if my husband loses his job again, what about health insurance etc…This is very emotional for me. I realize that if I worked for myself I could be there for my family and have a more peaceful and enjoyable work day. I don’t know anymore if I know my own worth…am I full of s***? I have the desire but then the denial sets in. In doing the body truth, I am realizing that I don’t have to be my mother and be myself. She struggled financially and never really was able to explore her soul’s passion. I want to be able to birth a new me who enjoys her work. This is a response to the last two blogs as I related to the question about avoiding topics with your significant other in the last one and then the inconvenient motivating action in this one. First, I really hope that Julia got her problem with Facebook solved. I was dealing with a technology issue at work last week that caused me to nearly lose my mind, because I was supposed to test a website but I could not test it properly because of the issue while a coworker was having no problem at all with it! I was so upset about this because I am supposed to be the technology expert in my company and yet I could not solve my own problem. It was definitely a programming error and has since been resolved but we lost a day of testing to it which we could not afford. I say all this because I have been speaking up more and more with the vendor who developed the software about the problems I am seeing and how they are not OK! Like when they said on Friday night that we have a couple of things left to fix over the weekend, and I said that’s not true, all the new sections are not working properly at all, and you better fix it this weekend! This hellish work week reminded me that this job is really not fulfilling me at all, and that I have been wasting year of my life there making other people happy. My 8 year anniversary is in April, just days after my 46th birthday. So I am more motivated than ever to find a more fulfilling career even though it is terrifying because I feel like I will have to start over completely. But interestingly, I feel like my body is responding positively to this effort. I have been having more normal temperatures in the last 2 months than I had all of last year, and I had a short cycle this month, which my acupuncturist said is better than a long cycle. I wasn’t even that upset when my period started because it feels more normal than it has in months. I also raised some issues with my husband today, about how I feel he is being hypocritical by saying that he wants to give me a baby “more than anything” but yet will not stop his unhealthy behaviors (smoking, drinking) and other things like hot tubs that I am sure are damaging his sperm. I have tried to introduce juicing, but now I just do it for myself because he is just not interested. He is acting like a rebellious teenager who defies his mother or other authorities, and I told him I was tired of it. He did not get angry back which surprised me but he also did not say anything would change. I am glad I spoke up, although I am not sure what good or difference it will make. But it is better than keeping it all inside and feeling numb like in the last blog. More head-butting with my age orphan, that brat. She won’t go away! Today I read an article about “Why I Hate Having Older Parents.” Holy hell. And the comments!! One pinhead said older parents were the “worst thing possible” that could be done to a child. Are you kidding me??? So…. * I LOVE that I was able to harness my Visionary and comment back, fighting this ignorant ageism (and telling them to stuff it, but with my usual piss-off vocabulary). * I love that feeling of wrapping up a work week. * I love that I really like the parents of my daughters’ best friends. What I would love to work on next week is dealing with this age orphan. I hear her (OH how I hear her), but it’s very hard to understand what she needs from me. I can’t physically make myself younger, so I’m not sure what I can do to calm her down or even give her what she wants or needs. I realized today my inconvenient issue is one of forgiveness. I thought I had done that to many in my past, but obviously I have not. That angry orphan and the defeated/scared one both have roots in my forgiveness issues. I need to figure out how to work on that. 1. I love green smoothies. 2. I love family dinners. 3. I love getting organized financially (instead of being a hot mess with money). I love all your daily loves! I love my daughters morning snuggles! Snuggles seem to remind me of simple joy and thanksgiving. Inconvenient orphans of the moment the worry orphan mixed with judge mental orphan can’t seem to elbow through to the visionary just yet. I see her but she is wrestling! butterflyfaith – Yay for family movie night and your day with your family. Heather – Goog luck with the orphan around pregnancy and cycles. 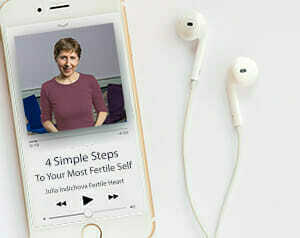 I have been doing Meeting your child Halfway Fertile Heart imagery and confidence pregnancy body truth. I’ve been spending more time related to my daughter – I have to say the imagery of trying to see things through her perspective was helpful. Some of her actions involved me interacting with people I haven’t interacted with before. Everyone has been very pleasant – my overwhelmed orphan needs some attention. For me it started as an inconvenient feeling I could no longer let myself believe or continue to try and forget about. Like you there were small improvements with things I tried. I thought I could move on and function at as my true visionary self. However this work has helped open up more of my orphans and provide deeper healing for me! I see myself walking toward my child, but also a healed, openhearted, honest, raw person. Everyday I see orphans I am trying to love rather than see as an inconvenience, thus trying to birth a new Me! Great blog and I love you letter to Mark! You Go Girl! My love count for today is…. 1. I love that my husband cooks. 3. I love frozen cherries from Trader Joe’s. Still feeling kicked around by the anxiety orphan, so I did some extra Body Truth today. I’m hoping that cuts through some of this fear. I love Julia’s letter to Mark Zuckerberg. Being an activist is hard work and I am inspired both by Julia and by the other Visionary Mamas on here who are doing this work. I am trying to figure out how I want to be an activist. There are so many things I care about, so I am trying to figure out where I can be most useful. My visionary tells me that working as an activist is an important and necessary part of birthing the next Suzanne. I agree that there is a tipping point at which we take it no more. Sadly I take it, until I have reached that point and then something inside of me, maybe it is my visionary mama tells me to take it no more and that I deserve better and that I am worth more. Before I launch into my loves for today, I have a story I must share. It sort of ties into this theme of dealing with things that are uncomfortable for us. As you all know, I have a HUGE friggin’ age orphan. I mean HUGE. She never leaves me alone and she chimes in every single time something good (regular periods) or bad (not pregnant again) happens. She’s all I hear a lot of the time. So today she got massive attention. I walk into my college class and head over to the podium. One of my students (I’ve had her in a class before) makes a comment about how she likes my outfit. Then she says “You remind me of….MY MOM.” What the FU**?! I was speechless. I don’t think I physically could be her mom! I mean, I didn’t even have regular periods back in 1991!! So after I stumbled a bit and said “I’m not sure how to take that” she says “My mom is young! You just reminded me of someone and I realized it’s my mom.” Holy crap. I didn’t know if I should laugh, cry or scream out “Hey, well that’s great! Since I’m trying to have a baby and you think I remind you of someone who gave birth to you 25 years ago! Super!” That ranks right up there with the gal at the doc’s office when I went for my mammo who said “Are you STILL having a period?” Piss off. Thought you all would get a chuckle out of that. So for my loves (and no, the above scenario did not make the list)…. 1. I love salads with homemade dressing. 2. I love getting packages from Amazon. 3. I love fiction novels (and buying them barely used at our library’s book sale). Funny!! Oh, darlin Butterfly, as the saying goes, ask and you shall receive, or something like that. That little age O is dying to cut loose. Thanks for replying, sweet Julia. Always a true Joy to see your name and words up here on the blog. * I LOVE a clean house. Makes my whole life and brain feel so much better. 2. I love Family Movie Nights. 3. I love my couch. Today, we celebrated my son’s birthday. So all three of my loves are those three people who mean the most to me: my husband, son and daughter. Today we got to spend the whole day together, and that was amazing. Due to work schedules, it’s rare we get a whole weekend together. Hi Butterfly – I have a similar orphan and had a similar moment a few months ago – a patient said I reminded her of her stepmother. I had the exact same thoughts you had. And yes, PISS OFF – are you still having a period. That’s ridiculous. I also love getting packages from Amazon :D.
Glad I’m not alone in this, S! I mean, sure, it’s not biologically impossible for me to have a kid in my 20s. But to be reminded of that is like getting slapped with a cold, wet sock. Some people have no filter. I also found out one of the grandmas at my son’s preschool is three years older than ME. I still can’t process that properly. ha ha. Butterflyfaith – You’re definitely not alone in this! It is a trip just how long our fertility life spans are. When I was pregnant I had to have regular monitoring because of my “geriatric maternity” (that was fun to read/hear). The girl next to me at each session was 21 and at 41 her mother was a year younger than me. She became a grandmother the week I became a mother. Oddly, the “too old” orphans didn’t pop up until I started trying for another child. Inconvenient emotional reactions is what my orphan can sometimes struggle with the most. They tend to pop up with certain triggers. It’s a double edged sword for me, I know I need to work with my orphans because being uncomfortable offers an opportunity to grow and work with my fears but… it’s uncomfortable and hard. By working with the emotional reactions I can’t push them aside or shove them in the hole of denial which allows my Visionary Mama to grow. Right now, I am struggling with an orphan I naively thought would simply fade or grow quieter after the birth of my son…this orphan used to pop up with every period and when I got pregnant after so many years, so many failed attempts at ART, after a devastating miscarriage, I thought surely I would not feel that tug or worry/obsession anymore I have what I always dreamed of, a happy healthy child. It’s the ” is it my period is it not my period, is it early or late, does this mean I am pregnant or is my body going into irregular cycles…and here I am again. I can’t avoid it and I can’t ignore it so I have to work with it and I resent it, which means I need to go within and get to the heart of why this is still with me. So the growth continues. I don’t know if there’s anything inconvenient that causes me to take action. Although maybe it should. I always let my orphans rule the day, because I feed them. Because it’s easier. Because a part of me must be comfy in the orphanage. It would be inconvenient for me to actually let my visionary eat a bit and gain some strength so maybe she could call the shots. So perhaps I need to feel the pain and just give my visionary a sandwich. * Rain. How I LOVE weather! * Cooler temperatures. It’s winter, so let’s knock it off with this heat wave. So loving temps in the 60s. * Hearing my husband’s car in the driveway earlier than I expected. Julia I liked the way you expressed yourself firmly and assertively to Mark Zucherberg – very strong and visionary!! You were not mean or demeaning – just stated the facts and relayed that you had already tried all the recommended channels. Mother2Be great for identifying your don’t make waves orphan. Mama J I am sorry for your brother’s passing. Yay for a catalyst! gutsymama that is wonderful for identifying your don’t want to be made fun of orphan and wonderful to share that insight with your husband. I have been doing the imagery where my husband sets me off – what he says or does, and I’ve also included my daughter. Then I’ve been doing body truth that goes with that emotion(s) that get set off in me. I’ve been loving it – I’ve particularly been trying to get at the visionary mom aspect that tries to understand from their point of view -what makes them do these things. An incident related to my daughter would be she would be having 3 F’s in school – would come home and say I really am going to work hard – then she does a little bit, leaving most undone and says I’m tired I’m going to bed. It’s really hard for me to get inside her head and understand the I give up attitude, but I’m trying. I love that last night my daughter and I had a lovely time with some other women/girls doing a spiritual portion then a craft which was making paper roses. It was very meditative and fun. I’m embarrassed to admit that most of my biggest upsets result in inward turmoil with no outward show. While this allows me to be the sweet, kind person it often results in my not getting what I want or need. Which leads to hostility. Reading your post has illuminated the fact that I have a huge “don’t make waves” orphan that is THRIVING quite possibly to my Visionary’s detriment. This is going to be an interesting topic on which to meditate. When I reflect on the past year and a half, I have been through it all – grief, anger, rage, sadness….the list goes on. From failed IVF, to my brother passing of cancer and a teenage stepdaughter who has randomly decided to stop communicating with me, I feel as if I have been through it all! After all of this, I know that I am a stronger, more open-hearted, more fertile woman than I have ever been. It sounds cliché, but these challenges have been a catalyst for me to acknowledge my own orphans and have served as a reminder of why I will continue to do the difficult work of realizing my path to motherhood. Happy LOVE day, everyone! I think the miscarriages in my past has done this for me. As painful as they are – I will say they have lead me to this work. The work then is helping me become a better wife, nurse and all around human being. My husband and I share more and more. We both realized through this work BOTH of our biggest fear is “being made fun of”. hello orphan! however we would of not recognize this or been on this journey if we had just gotten pregnant and had our children and perhaps even given them this belief to “be made fun of”. It gives us a chance to step back and look and see what is going on. And to heal it the best of our abilities. And so I know miscarriages are awful and heart breaking and I would not wish it upon anyone but I understand now more than ever why my eyes needed to be opened.